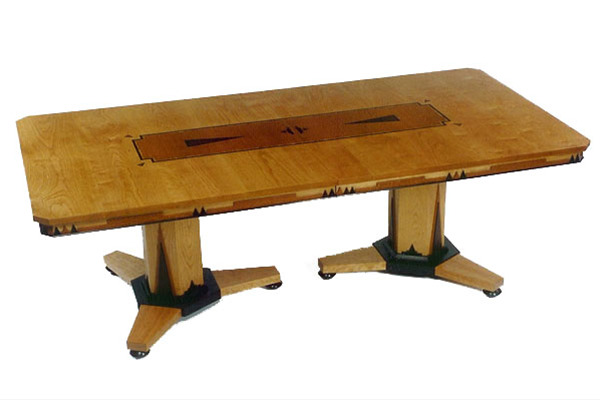 This is a totally custom, expanding dining table in natural cherry, with inlays and appliqués of Australian lace wood, rosewood, ebony and maple burl. It was inspired by Art Deco geometric patterning. Black over red painted details. The apron details are composed of "mesas and pyramids", and evoke a feeling of southwestern geometric pottery. This is a very long table when fully expanded.